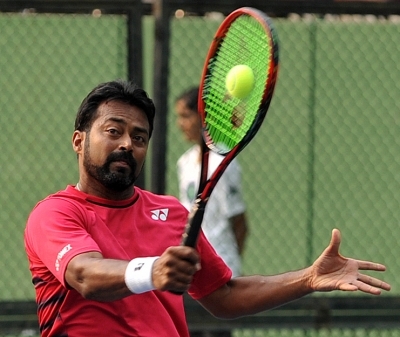 Basel, Aug 16 (IANS) India tennis star Leander Paes and his German partner Alexander Zverev bowed out of the Cincinnati Open, losing their men’s doubles first round match here on Wednesday. The Indo-German pair was outplayed by the Spanish duo of Feliciano Lopez and Marc Lopez 6-2 6(2)-7 6-10 at Court 11 here. The Spanish pair will now take on fourth seeded American twins Bob and Mike Bryan in the second round. “I know him (Paes) quite well. He’s a good guy. Unfortunately we lost today but it was fun playing with him,” Zverev was quoted as saying by the Association of Tennis Professionals’ official website. Zverev said that the doubles games will improve his play in the singles matches. “The serve and return helps. You get used to the conditions a little bit more, the match conditions. That’s very good. 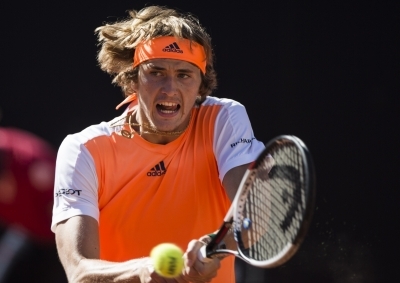 Obviously the volleys improve,” Zverev added.